Do you know that the fastest and easiest method of selling a fake program is to package it like the original one? Just introduce an incentive, use a catchy marketing slogan, add a free bonus item and watch the sales rise unexpectedly. Online scammers are evolving, and you can see their advanced techniques in the packaging and presentation of the Crypto Advantage software. When I heard of Crypto Advantage, I thought that the trading platform is going to be the legit solution which cryptocurrency investors are hoping to get online. 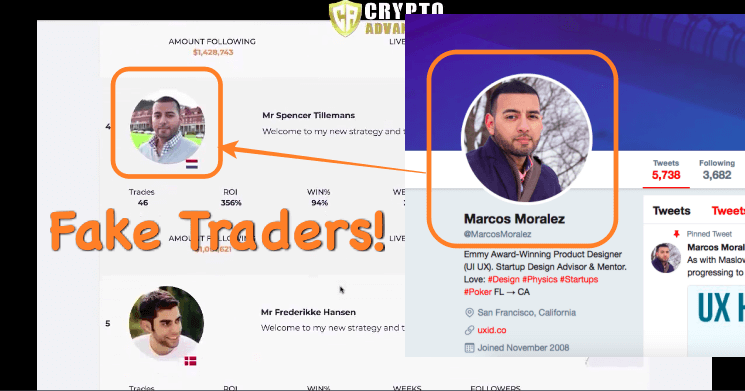 So, I decided to analyze the authenticity of the cryptocurrency trading program, but unfortunately, my discoveries proved that this trading platform is another lie which scammers have concocted to dupe people of their hard-earned money. If you are yet to understand the risks and dangers of online Cryptocurrency trading, it is imperative that you pay attention to what I am about to share in this Crypto Advantage review. There are many indicators that alert professional online traders like us that a particular software is a scam created to deceive people. Although most scam softwares like Crypto Advantage will try their best to represent themselves as a legit trading software, but a close investigation will reveal them for what they are; scam software! Crypto Advantage is an automated trading platform where crypto traders are supposed to make up to $100 hourly. The truth is, instead of making money, you are heading towards a day-time robbery. The system allows traders to buy currencies, futures, assets and also sell according to the algorithms. The Crypto Advantage team are also promising that novices in cryptocurrency trading can also use the platform just like the professionals by following what they do. 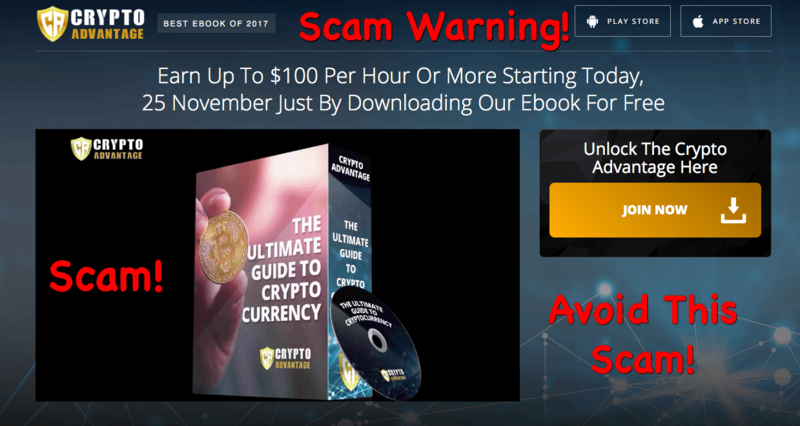 According to the scam group, there is no need for crypto trading experience or prior knowledge before using the Crypto Advantage trading bot because as soon as you complete the registration process, you will have access to the free beginner’s e-book. This e-book will give you an in-depth training on cryptocurrencies, crypto trading and also teach you how to utilize the App efficiently to make good returns. If you are a novice, you can trade easily by copying the professional traders, or you can also use the manual option. The Crypto Advantage team want traders to believe that it is effortless to make money while trading on the platform. The reason is that traders will only utilize the signals which the platform offer through the professional traders and analysts. Once you get a trading signal on any cryptocurrency, you will just enter the investment amount you want to trade and click the “Trade button.” Once you click the button, every other analysis like choosing an expiration time for the trade will be handled by the professional traders on your behalf. Also, when you click the chat function on the platform, you will get a session with one of the pro traders on the Crypto Advantage platform. Based on what team say, you can assess the profile of each pro trader on the platform and decide on who you will trust and follow for a profitable trading experience. This offer sounds impressive but are you sure that the profile is not fabricated to deceive you? Like I said earlier, the software has all the likeness of a legit cryptocurrency trading platform, but there are so many factors that prove that Crypto Advantage is a dirty scam. Just read through our Crypto Advantage review and understand why you must not fall for the antics of these con artists. Crypto Advantage Scam Exposed – Check My Review! If I create a system that can eradicate poverty in this generation, I will be proud to take credit for my discoveries. Who is the brain behind Crypto Advantage? No one knows. All we know is that the “Crypto Advantage Team” of fraudsters are in charge of the software. Why is the real owner hiding if he has created such money making software. Just pay close attention to the pitch video of the Crypto Advantage trading software, you will notice that it looks like a PPT presentation which is created by a school student. Before you deposit money on any platform, check how transparent they system is in disclosing relevant information. If they are not boldly proclaiming their identities, stay very far away from them. One of the strategies of scam software developers is the use of fictitious characters as representatives. In this case, the Crypto Advantage team are using non-existing traders to deceive people into thinking that they know what they are doing. According to what they promise, novices in cryptocurrency can trade very easily on the platform by following the steps of pro traders. Unfortunately, this claim is not real because the supposed professionals and analysts do not exist. Don’t mind those profiles you see on the platform, anybody can write it. For instance, we discovered that the trader shown in the fourth position is a UI designer who has nothing to do with Cryptocurrency trading. They stole the image from Twitter and if you think about this, why would a program promising you of making $100 every hour need to take pictures from a social media platform? Check Twitter profile of that trader. It merely means that the whole system is overrated and dubious. Do you know another strategy of scam trading software developers? They make fake promises. Apart from getting the cryptocurrency directly from the mining company and depositing it into your online account, why will someone give you assurances that you will make money while trading? Crypto Advantage is sounding like Bitcoin Code, which is also claiming what they can’t offer. 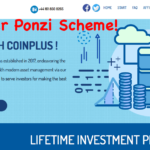 I have investigated and written about many scam trading platforms, and they all sound the same, claim almost the same things, but in the end, they all have one purpose; stealing hard earned money of the novice traders. This new method of online thievery is why I take my time to investigate and write about them like this Crypto Advantage review. No matter the slight difference in name and packaging, these scam crypto trading platforms are the same. According to what the Crypto Advantage scam program claims, traders can follow the daily signals to utilize the 87% average ITM depending on how much they take. Let’s say that there were 23 sessions with 174 trade signals and 148 out of these signals were ITM that means, you have a winning rate of 85%. If you deposit $300 into your account and in each trade, you invest $50, you will make $140 every day, and by the end of three weeks, you will be $3090 richer. What an amazing offer! If making money was this easy, there wouldn’t be any need for a scam in the first place. 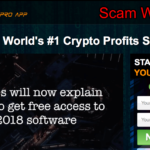 When I write about scam trading apps like this Crypto Advantage review, I always have one question for my readers; if this level of profit is attainable every day, why are scammers trying so hard to steal from you? The goodness of their heart you say? Forget it! The claim of high profit is just an exaggeration to get your attention. Once you show interest, you will be encouraged to register, deposit, trade and lose all your money. I always believe in an investigation before commitment. Check out some of the legit trading programs; you will notice that they don’t make fake claims of exorbitant profits. If you want to make money on trading, you must be alert, committed, intuitive and smart. Many legit platforms like Option Robot will offer you the demo account for practice before trading with real money because they understand that you need skills to make actual profits. This training will prepare you for trading because, as you lose some and gain in some investments, you will learn from your mistakes and improve your techniques. It is amusing that scammers like the Crypto Advantage team will want you to trade with real money as soon as you register. Have you ever wondered why? There is nothing unique about the Crypto Advantage trading software. 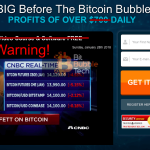 In the course of my investigation for this Crypto Advantage review, I noticed that this software is the same one that other scam programs like Crypto Wealth, Bitcoin Wealth and 1K in 1 day are using. Many people trading on these platforms complain bitterly that they only lose money on these platforms. There is no profit for you if you make the mistake of depositing the minimum $250 which team of fraudsters behind Crypto Advantage is asking from you. Put your money in the right place and gradually increase your earnings as you get more trading experience. 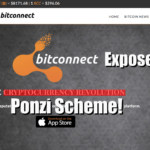 The whole truth about this scam software is that it is a cover for an unregulated broker. Once you register for Crypto Advantage and invest, your money goes directly to Greenfields Capital, a scam broker operating without any license. The team behind this trading App collect a percentage share from this broker whenever a new trader invests on the platform. Many people are running away from unregulated brokers and what they do now is to hide behind trading programs like Crypto Advantage and defraud people. 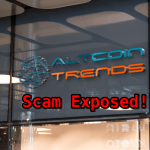 Verdict – Crypto Trader Is Confirmed Scam! Avoid It! Crypto Advantage is just like the other scam cryptocurrency trading software out there. There are no profits to make, there is no transparency in the system, and the supposed professional traders and analysts are just fictional. My sincere advice is that you should stay away from Crypto Advantage trading program. There are many legit trading apps which you can use on this site. All you need to do is read about them and choose the platform that will work for you. Don’t sink your money with a scam that will only help you to lose and not gain. Forget about the story and claim of making $100, many traders who fell for it and lamenting right now. What you comment I think is 100 per.cent correct, because after registering to their website they sent the link to unlicensed and unregulated brokers. Now I want to know about Option robot,which are the brokers they link too are they legit, licence and regulated Brokers,,please list it to me and sent to my email. I lost a lot of money with these forex system and unregulated brokers Thanks. Feel free to trade with them. Thanks sofy for exposing this scam. My father told me once that if anything seems too good to be true then it is not. It’s the same case I felt with this scam. So what’s your recommended strategy for me to start investing my money? Is Plus500 also a scam? 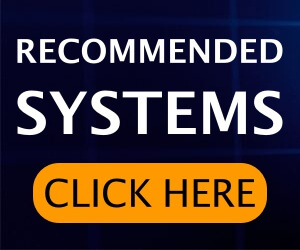 Which trading platform that you will recommend? Apparently too many sites offering Bitcoin trading and their sites look so legit. Thank you Soft,for your review on Crypt oadvantage .I almost fell for their scam.